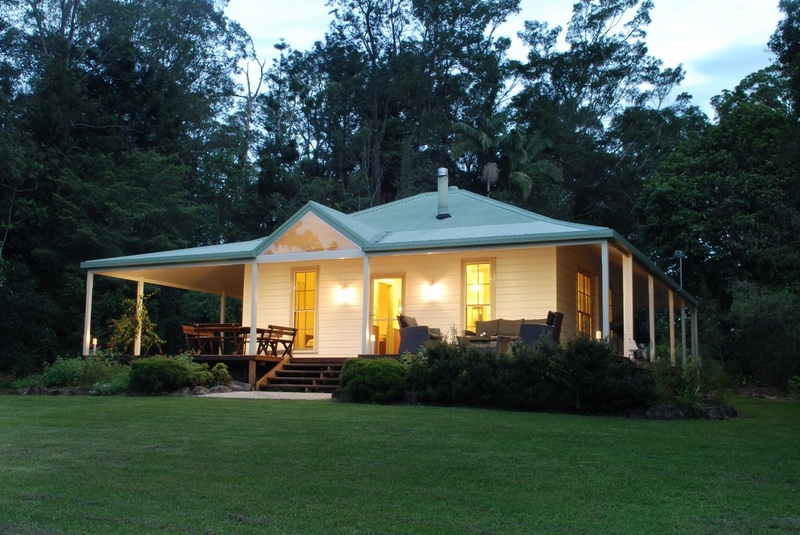 Fernridge Farm Cottage was built in 1905 by one of the original settler families in the Bellingen district. The cottage faces north toward the Bellinger River and the mountains of the Dorrigo escarpment, and offers absolute privacy. It was completely renovated about 20 years ago, and has been updated and upgraded in the years since. It has been featured on "Better Homes and Gardens". Two bedrooms, one with a queen bed and one with two singles, with electric blankets and home-grown alpaca doonas on the beds. There is a queen sized sofa bed in the living room that is very comfortable, so the cottage sleeps 6.